Good, aggressive article, Tom. I think you're right about FO intentions. The Twins could be under $30M in annual salaries by September 2019. My issue with your trade suggestions is the lack of SP coming in return. My idea is Kepler to the Braves for Touki Toussaint and a RP. I'd also extend Gibson through 2021. Twins have plenty of position players coming through the system, except for the noticeable hole at 3B. Odorizzi or one of the deadline trades could fill that gap in the system. I like the tear it down and rebuild it approach. I just wish the front office had started this type of effort two years ago instead of being so wishy washy. Interesting article, Tom.And I sure am glad you are not the Twins GM. The core of this team right now is Rosario, Gibson and Berrios.Sign all three to extensions and build a team around them.....for 2019 and beyond. As for next year, success or lack thereof is in the hands of Sano and Buxton.They perform at levels near their ceilings and you are in the playoffs and maybe the Series.Perform like last year and the Twins are screwed.One of two performs and they are in the hunt. Yes, the Twins have a few holes that need to be filled to go beyond round one if Sano/Buxton deliver.I see those as a left handed first baseman/DH (maybe Mauer), a second baseman and a top relief pitcher.And they will only need the second baseman for a year or two. I feel this is the wrong approach. Cleveland is far from a super team. There is no fall back plan if Buxton struggles or fails. A couple of upper level bullpen pieces and a short term FA at 2nd base or maybe Arraenz should be close without breaking the bank for the future. I was envisioning something similar, so thank you for giving it some real thought and color. I'd also extend Gibson through 2021. All solid points in your comment, but I could especially get behind this. Along with having a great season, Gibby also evolved into one of the clubhouse leaders by the end of the year and embraced that role. He even became the team's union rep after the Dozier trade. That extension would take you through his age 33 season, which would be perfect. I just don't see why Kyle signs that deal unless you really make it worth his while. So I didn't really consider this as an option at the onset, but if it's expected to be another ice cold free agent market this year I think guys like Gibson will be much more willing to sign extensions. My main worry, which is also why I ultimately decided not to include a Patrick Corbin signing, is that Gibson backslides and you end up with a guy clogging up a spot in your rotation. I'd love to see things work their way out organically -- spots are fought for and earned in the rotation. Then again, maybe by 2021 there's no such thing as a rotation anymore. Who knows? Glad you are addressing the preeminent issue of this offseason: should the Twins retrench as you suggest, go for it all in 2019 or is there some middle way? The difficulty with deciding now what should be done is we don't know how strong the "current core" really is. Without Sano and Buxton rebounding, there is not much of a core - Rosario, Berrios and maybe, Polanco.That's pretty slim pickings for a team with playoff aspirations. Your solution is to start over and wait for the new wave.The fallacy in this approach is that it ignores the vast amount of money available to spend as well as a pretty strong minor league system of our own.Pohlad doesn't need to bank the savings and if a few things bounce right for 2019, like either Sano or Buxton rebounding to near all-star performance(unlikely for both, but at least a 50:50 probability that one reemerges), then some sound FA investments, like two late inning BP arms, a genuine cleanup hitter(DH/! and a middle infielder with some pop might be enough to at least elevate this team back into contention.With the current FA market and lots of cash, this is all eminently doable with some shrewd FO maneuvering. No, free agency alone is not enough to get this team into the elite level but a couple of shrewd trades that could return a badly needed ace or #2 starter by giving up some of the quality in our minor league system and/or trading one of Sano/Buxton (yes, the choice of which one is a hard one but this managment team has seen these two for two seasons now and so should be able to predict which one is more likely to be a keeper.Yes, there is risk, but slotting at least one starter above Berrios is a must if this team is serious about contending in 2019. Trading, Kepler, Gibson and Odorizzi robs us of depth and pushes off the rebuild for at least two more years.I, too, have my reservations about the wonder boys but the fact they are unafraid to strike quickly is a positive trait.Yes, there have been some missteps along the way, but now they have cleared a lot of deadwood, there is ample room for maneuvering.This is their time to strike boldly, not to equivocate. Agreed, this is why I'd be a little gun shy about pushing all the chips in on 2019. I actually started out this exercise by pondering what Buxton and Sano trades might look like, but unfortunately those two have buried their stocks so low that it's really difficult to come up with any ideas that make sense for the Twins and would be realistic. In this scenario, you're rolling with Buxton sink or swim. Things could go very poorly, but by the end of the season you're going to have a better feel for who he is. Still very annoyed they didn't do this in September this past season. But along with Cave, forgotten man Zack Granite's still around too. Arraez would definitely be in the mix for second base. That guy can hit for contact but I'm not sold on the other tools. Do you remember the catching carousel on the 2000 Twins team? They had five different guys make at least 10 starts back there, but by the end of the auditions A.J. had emerged as the guy. That's kind of what I envision with second base in this scenario. Enjoyable reading.I cringe when I think of Sano at 1st base. The little I saw of him over there he looked clumsy and awkward. I'd leave him at 3rd base for as long as it can be tolerated and then he'd become 100 game a year DH for me. Spot starts at 1B & 3rd till he shows me he can stay in shape and be an average defensive player at either or both. Not sure I can get behind you here Tom. I think you can still target some 1 year options that are tradeable if things go south and some multi-year options at areas of weakness that make sense. If Buxton and Sano do something similar to 2017, we would have been a playoff contender this year, and finding an upgrade at DH and 2B this offseason shouldnt' be too hard to do. I'm only trading those guys if I'm convinced they will regress. I think this is more a reload scenario, and you can reload with an eye on 2020 if needed. I honestly do not think that the team as it is currently constructed is that far away. * They lost 15 via walkoff, so I think shoring up the bullpen could go a long way in getting even closer. ** I'd start with Joe Kelly, Andrew Miller on the cheap, and Familia/Herrera. *** I'd also shoot for Pearce as a placeholder at 1st, and LeMahieu/Jed Lowrie to plug in at 2nd. *This is entirely dependent on Buxton and Sano coming back as the 2017 version of themselves, not the 2018. **I don't know what is giving me this rosy outlook. I should probably get my head checked. ****Is it March 28th yet? The timing is just not right for this right now.A couple seasons ago, after the 102 L team, was the proper time.Right now 3 of the division teams are very weak and Cleveland is worsening.The Twins have opportunity to win the Division and about $70 million to spend to do so. Unlike many, I still have not given up on Sano (esp) and Buxton.Injuries happen and that's what happened in 2018 to both. Lots of great points in your comment, but on this topic, Derek Falvey has mentioned before that the Twins don't have the ability to outspend teams in terms of the payroll but they may be able to invest more in the margins than the average club instead. I'd imagine slashing the payroll to this extent would give Falvey carte blanche to go nuts on the team's infrastructure and staff from the top down. Hopefully the majority of the money not invested in additions would be funneled to extensions and beefing up the staff/technology/facilities. I believe in Falvey and >evine.Year One, they came in late. They worked with what they had as they started to evaluate the fellow front office staffers and look at the team they inherited. Year Two, the made changes in some coaching and throughout the minors. They had their second real draft. They did some things with international money and grabbing prospects. They suddenly got a push to be competitive in a weak division, and althopugh the play for Yu might've been more lip-service than actual (and thankfully didn't pan out), they did spend monies available to fill the roster with some strong veteran bullpen signings, a temporary fix in the rotation and a bat. Plus they traded excess for Odorizzi who, if he pitched well, could be resigned for a longer term. They managed to flip the under=performing free agents for some system rich prospects. Overall, these guys are looking ahead, trying to invision what the Twins of 2020 and 2021 and beyond will look like. This season they have to AGAIN evaluate the failures of 2018, from Sano and Buxton to even Kepler. They need to make decisions on promising arms like Vurtis and Moya and Gonsalves and Stewart and Littell and even more from their pitching rich system. They have to make some hard decisions because not all of these guys will be here in 2020 and beyond, as there are other arms pushing from the low minors that could break into the team as long lasting prospects. They do have a solid system of "prospects" and need to look at what is out there that will benefit the Twins in trade and be resignable for 3-4 years. They do need to see what free agents they could sign longterm that would be viable for the pay for a 4-7 year term, in truly plausible. They will be in a position to sign some guys, like they did in 2018, for a one-year deal and maybe an option who, no matter how they perform, could still bring back bodies. Of course, they and their staff have to think hard about what prospects have the best chance of being major league material, who will work into the lineups of 2019 and 202 for sure. I do believe they have a plan. That they are pushing for the freedom to make the Twins a dynasty of their own choosing and have been chipping away at the Twins Way and the promote from within and the lifetime employee structure of the organization...all of which can remain but shouldn't be the main priority of putting a winning dynasty on the field. Most of all, I do believe they have monies. 2018 wasn't a total bust and they should still have $115-120 million in payroll. I want them to win, so just saying "remain competitive in the division" isn't enough anymore. Yes, a second place finish in the Central looks good on paper, but it really isn't as glorious as at was the year before, and that wasn't the best of seasons, either. The Big Picture is that these guys have signed and traded for some good hungry players. They will have another off-season to add even more to the mix, and many many of these guys will never ever see daylight in a Twins uniform, but that doesn't mean they don't have value to get someone who can play for the Twins. You only have so many seasons to play with prospects before you lose them. I would love to see the boards in the office, with the names written in for 2020, the possibilites for 2021, the ones even highly rated for the year/s beyond that. Then the names they might be after to fill the holes in each season, and the dollars they feel are worth spending. Right now, the Twins should've been hard-pressed to long sign Buxton, Sano and Kepler. But now there has to be a wait and see. Yes, they should long sign Rosario and Berrios fer sure, maybe look at a couple of bullpen arms, make a decision on Polanco for a lowend 3-year deal (he can always be the super sub). And look at what is available, not just as free agents but also in trade. The evils of free agents is that they do bump prospects, so those prospects need to be moved while they still have supposed value in the eyes of others. I agree with many of the commenters that any near-term success depends on Buxton and Sano turning things around. However, it is not a reasonable expectation for that to happen in 2019. That situation will be better understood at the end of this year, so I endorse planning around 2020 and beyond. 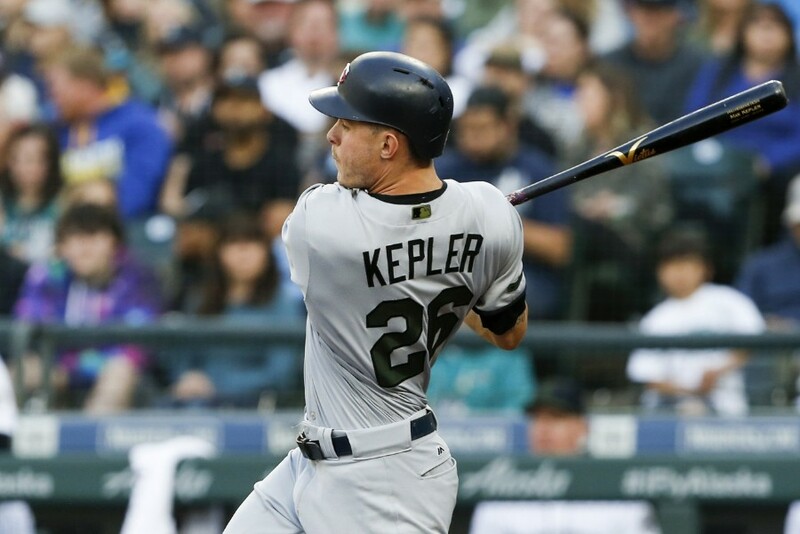 As to trading Kepler, the other thing we hope to see this year is better instruction and coaching at the major league level. That is essential for ever getting Sano and Buxton right, but it might also salvage Kepler, whose only flaw is that his contact is too soft. Thanks for the response. I should have added that I think the team can compete in 2020 and be very good in 2021. Without Gibson, the Twins will have only Berrios as an established SP. The upside of any SP in the Twins system that could pitch in 2020 is no greater than what Gibson is right now (including Romero). I'd give him 3/$40M for 2019-21, maybe adding a team option w/buyout for 2022. That's a lot of guaranteed money to turn down. If he doesn't want it, I'd trade him this offseason too. I think there's a good point here: it's a lot easier to tear a team down to the studs after a brutal season like the 103 loss one. But they didn't and the team bounced back with an over-achieving 85 win season that put them in the playoffs. This season they got smacked around by injuries and so we dumped a bunch of guys unlikely to be part of the future/FAs. I think it gets to be a hard sell (especially in this community where ownership is perceived as cheap and not committed to winning) to start dealing younger players off the MLB roster for even more prospects, especially when the most heralded prospects in recent vintage haven't consistently graduated to become what we thought/hoped they would be. While Tom's strategy might end up being a smart one to set things up for 2021 or beyond (I'm sorry, but I think with all the moves proposed here, you're setting the MLB club back far enough that expecting them to be ready in 2020 is...unlikely) it probably gets the front office fired before it comes to fruition, unless guys like Royce Lewis & Alex Kirilloff stay on their fastest of tracks and have zero setbacks. Of course, the bigger problem is Tom's lineup has 4 guys whose last name ends in "O", with a potential 5th in Astudillo and that's just going to wreak havoc with the announcing team. After nearly two years of inconsistency and half-measures, the FO has been indicating the type of approach you describe for a number of months now. It's been pretty consistent since the all-star break. And the hiring of a very young manager with zero managing experience at any professional level, and whose outstanding trait is that he's highly "relatable"...fits right in with this approach. In lieu of my club annually operating at the top of the FA market (which isn't going to happen, not consistently over time)...I like this approach better than year after year of 'patch-and-hope'. If I'm not mistaken the team was .500 after May 1. We need to move some pieces around, but contending in 2019 is more than likely. Talk of rebuilding again makes no sense to me, nor does pointing toward 2020 and beyond. We have players to trade, a top 5 farm system, and as much money available as we have every had. There's nothing to wait for. Let's not forget, our last off season was the busiest ever and we followed that up with our busiest ever trade deadline. I understand your thinking/reasoning, and on the surface it makes sense.Unfortunately I feel this just leads us down a path of being in permanent rebuild mode.We were expecting prospects to come in a few years ago and turn us around.Your strategy is basically saying the same thing with a new core of prospects.Not saying you are wrong and I'm not sure of the exact right thing to do.If we get lucky all the prospects will gel and hit their potential and be superstars.Reality says not likely. Bottom line is that is is a very tough juggling act! I'm in favor of trading Kepler and one of either Odorizzi or Gibson but not both. I think dumping half of the 'named' starting pitchers would have a longer term negative influence on the players we are keeping. There would be reasonable intrepidation that one of the other starters might go down for a week, a month or for the entire season. This would look bad regardless of the envisioned outcomes--to players and fans. As for Kepler, he's attractive for other teams. As Tom pointed out, Buxton has such low trade value that it would represent a give-away and Sano might be even worse--you have the hitting problems and the potential attitude problems. I have zero interest in yet another "wait till 3 yrs from now" approach. The money quote (referring to rebuilding): "I’m more curious if it ever truly started in the first place." In my opinion, it never truly did. Always doing things down the middle hoping things all broke right at the same time to be a contender. Tom you said "I’m more curious if it ever truly started in the first place"
I have to say, Kepler, Roasario, Polanco, Buxton, Sano, Berrios, and a bunch of relief pitchers was the rebuild. That is the whole outfield,half the infield, and at top end rotation starter. All under the age of 25, they brought in FA veterans to fill the other spots and had a couple of guys ready to go in the minors. Sano, Buxton, Gordon,Morrison and Romero (not grabbing hold of a rotation spot) sucking is the reason the Twins were terrible last year. But if they have faith in those 3, I say go out and get some veteran Free agents and letting these guys have a shot. If they fail again, they aren't hurting 2020.